starwars.com confirmed a rumor I posted a while back about Anakin possibly having a padawan of his own in the new Clone Wars animated series. 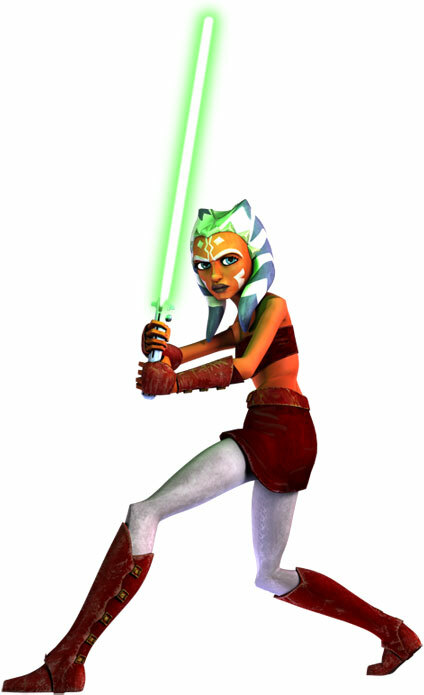 Meet Ahsoka Tano:This young Togruta is eager to prove herself as a worthy Padawan to her bold Master, Anakin Skywalker. Able to wield a lightsaber and pilot a spacecraft with great talent, Ahsoka promises to become a worthy Jedi. There is much more to learn about Ahsoka and the role she plays in the epic Clone Wars adventures and the Star Wars saga. Keep checking StarWars.com as more news comes to light about the series and this intriguing new Padawan. 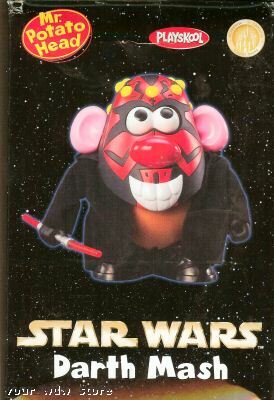 Who ever thought Darth Maul could be so cute? Mighty Muggs, cartoony vinyl renditions of your favorite SW characters, are in stores now. 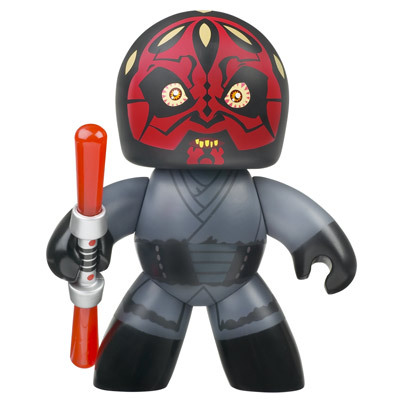 Along with classic characters like Han, Chewie, Vader, Boba Fett, and the requisite Stormtrooper, you can also pick up a Darth Maul from the first set of figurines. When Obi-Wan cut him in half, did he get served with butter and sour cream? My favorite admirers are little kids who are big Star Wars fans. They live and breathe Anakin Skywalker, so when they see me, their eyes open really wide and that is great, very sweet. Sideshow Collectibles has produced a series of huge dioramas based on the classic duels from the PT. Last year, Sideshow released a diorama featuring Anakin and Obi-Wan’s duel from ROTS. Unfortunately, it’s sold out. OMG, a Jar Jar collectible! There’s a ROTS Obi-Wan and an AT-AT driver on pre-order for August as well. While watching the San Diego Chargers play the Indianapolis Colts today (Sunday), they played “Battle of the Heroes” from ROTS just before going to commercial break. Please note the page “About the SWPAS.” This is NOT a site to debate whether or not the PT is any good and ALL comments are subject to approval before they can post. The PT haters have the rest of the internet to spew their opinions. This site isn’t the place for it.